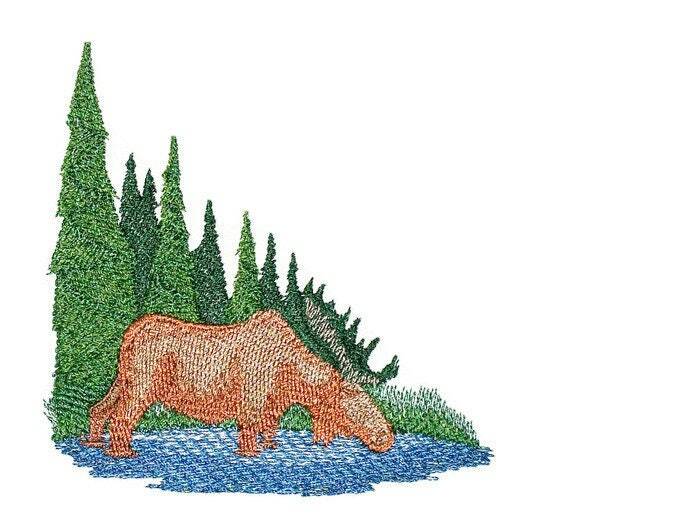 Moose wilderness scene embroidered quilt label with a professional finish. Measures: 15cm x 10cm (6" x 4"). * your choice of thread colour for your message.